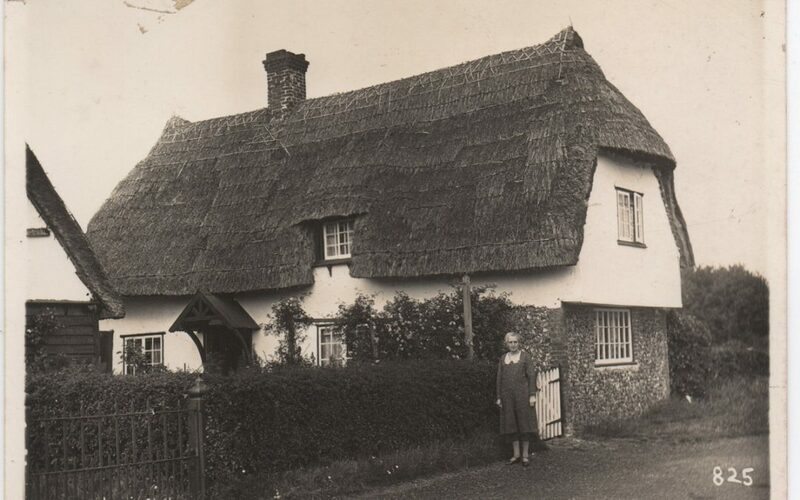 The picture above is Mrs Albert Flack outside Chapel Cottage in Crawley End. 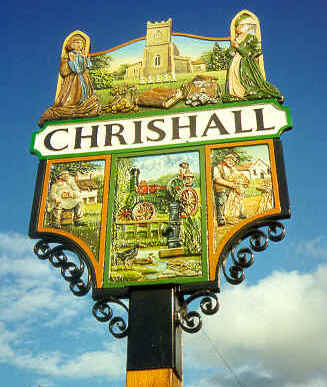 Mrs Flack lived in Chrishall all her life but in the story below you can hear the tale of what happened to her one day when she got lost in Chrishall… She tells her story to Mrs Irene Cranwell who relates it for us here. Now if you have been paying attention, as Mrs Cranwell would say, you might have noticed that we know Chrishall did indeed have a big party on the day Nellie got lost as we have the newspaper report of the activities here. This is the last in the Advent 2017 series of posts. I hope you have enjoyed reading, listening and watching and wish you all a very Happy Christmas and New Year! I wonder if you might have any information or photos of the Rumble family, Buildings End, Chrishall? Arthur Rumble was my maternal great grandmothers grandad. He married Martha Dash. I live in Western Australia now. Hello Kim – how nice to be in touch with a Rumble relative. Unfortunately though I don’t think we have any photographs of Rumbles at the moment. I will keep an eye out for you though.